Pete Sheinbaum is the Founder & CEO of LinkSmart, Inc. a Foundry Group and Sutter Hill Ventures backed startup based in Boulder, Colorado. Pete is also the former CEO of DailyCandy, Inc. Putting people to work and solving problems are definitely the most rewarding things about entrepreneurship. 1) You are never going to be 100% sure about anything. 2) Being frugal and being cheap are not the same thing. 3) There are many great ideas but only a few great executions. Peter A. Sheinbaum is the Founder and CEO of LinkSmart, Inc., a Foundry Group and Sutter Hill Ventures backed stealth startup based in Boulder, Colorado. Mr. Sheinbaum is also the former CEO of DailyCandy, Inc. In 2000, DailyCandy hired Mr. Sheinbaum to assist with the launch and development of DailyCandy.com. In 2003, he was named COO of DailyCandy and in 2005 named CEO. After a successful sale of DailyCandy to Comcast Interactive Media in 2008, Pete guided the Company though the transition before departing in May of 2009. Prior to DailyCandy, Mr. Sheinbaum held the following positions: Director & CRM Practice Leader for Empower Solutions (ERP & CRM software consulting and implementation), COO of AlexBlake.com (retail e-commerce), and Manager of E-Commerce for E! Television Networks. Additionally, Mr. Sheinbaum has served on several boards and advisory committees including Trigger Media, Nerdist.com, IdealBite.com, TravelPost.com (sold to Sidestep), Intense Debate (sold to Automatic) and TotalBeauty.com as well as investing in, and mentoring, a variety of technology startups such as SendGrid, Giftly, Hotel Tonight, and DealBase.com. 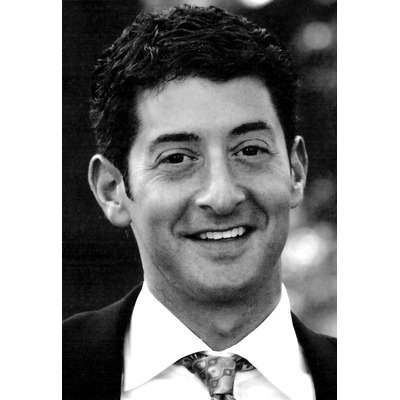 Mr. Sheinbaum holds a BA in Economics from Colgate University and an MBA from The Anderson School at UCLA. Prior to graduate school he worked as a financial analyst and associate in both commercial banking (Chemical Securities) and private equity (Lehman Brothers), respectively. Mr. Sheinbaum grew up in Westport, CT and currently lives in Boulder, CO with his wife and two children. Pete was mentioned in a VatorNews article "Today's Entrepreneur: Pete Sheinbaum"
Pete filled out investment critera. Pete is now connected to Kristin Karaoglu. Pete was mentioned in a VatorNews article "In-text linker LinkSmart now out of stealth with $4.7M"
Pete shared lessons about entrepreneurship.